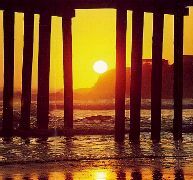 Come explore the Cayucos coast life. Be soothed by a quiet beach where your only company will be shoreline birds, warm sunsets and an occasional beach walker. Antique shops, a nearby mission, an art colony, wineries, wildflowers in spring, Hearst Castle, galleries - all these are at your pleasure. Each of our suites has been carefully designed to provide you with a sense of calm and welcome. 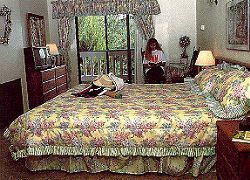 Unique wallpapers, fabrics and handmade wreaths create a hominess that will make your stay memorable. A warm, cozy fireplace provides warmth to the body and to the spirit. Our meeting facility can accommodate groups of 5 to 30 people. Food and beverages can be catered and audio/visual equipment is provided. We are at your service - whether its for a romantic weekend for two, a family reunion, a business gathering or just a stopover on your way someplace else.